It perfectly matches together with knee high felt boots. Felt tote bag – tote it around whenever you go! 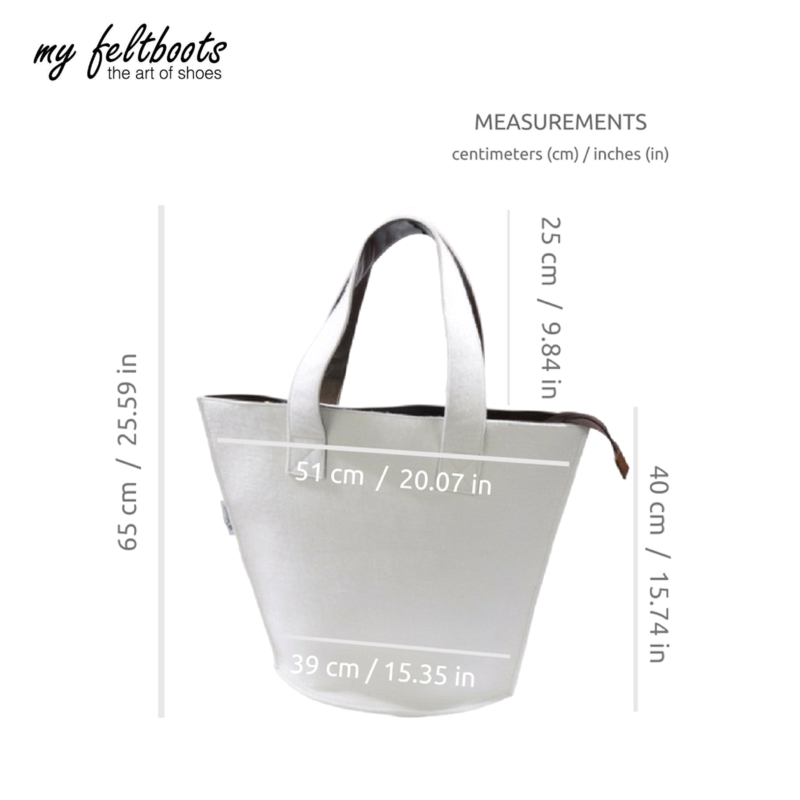 Handy, natural and functional felt tote bag from "my feltboots" for a modern woman. It is extremely capacious, so is perfect for every day and travel. The generous size as well as tough material makes this felt tote as a great weekend bag, office bag or even hand luggage bag on the plane. 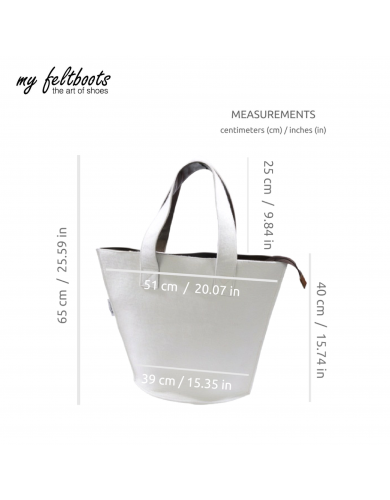 You will soon discover that felt tote bag will become your best stylish companion. NOTE. Tote bag can have another shade of wool impurities. It is not considered a defect, but a natural feature of wool. The colour of bag may slightly differ from those in the photos.